Aidan White is hopeful of securing a transfer which keeps him in the Championship next season after ending what he called the “honour and privilege” of a career at Leeds United. The left-back is understood to have received initial interest from other Championship clubs since Leeds called time on his long stay at Elland Road last week. White was one of nine players released by United on Wednesday and the second highest appearance-maker within that group with 111 to his name. The 23-year-old made the last of those appearances on the final day of this season, featuring as a substitute in a 0-0 draw with Rotherham United, but he missed most of the campaign with a metatarsal injury and has not been offered an extension to his contract. White secured a three-year deal worth around £9,000 a week in 2012 and Leeds are believed to have considered handing him fresh terms on a reduced wage. But the academy product – a United player since the age of nine – was missing from the club’s retained list on Wednesday and is now looking for new employers. Otley-born White told the YEP: “It’s been an honour and a privilege to play for my home club for so many years. It’s something I’m extremely proud of. “I have many fantastic memories and I’ve made many friends over the years with players, staff and fans. I’d like to thank the fans for all their support throughout my career at Leeds. “It’s been a frustrating season being out injured for the duration but it was fantastic to play a part in the last game, especially with such a welcoming home crowd. White almost quit Elland Road in 2012 after reaching the end of his previous contract and he was strongly linked with Derby County and Celtic before agreeing to stay at Elland Road. The versatile defender was used regularly during the managerial reigns of Neil Warnock and Brian McDermott but fought a constant battle to find his best position. A foot injury suffered in pre-season last summer, however, forced him to undergo surgery and wrecked his final season with United. He and Jamaican international Rodolph Austin were the most high-profile names on the club’s released list as Leeds began the process of preparing for the start of the 2015-16 term. Bolton Wanderers are among the sides monitoring Austin, who played more than a 100 times for Leeds after signing from SK Brann in a £300,000 deal three years ago. While allowing nine players to leave, United has offered new deals to a number of their younger prospects, including striker Lewis Walters and midfielder Kalvin Phillips. Both players are currently weighing up their offers but are likely to commit their immediate futures to Elland Road. 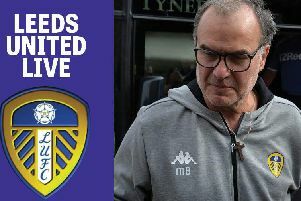 Leeds, meanwhile, are continuing to be credited with interest in numerous coaches following the refusal of owner Massimo Cellino to back existing boss Neil Redfearn at a press conference last week. Cellino, who has made contact with ex-Southampton manager Nigel Adkins and is also keen on Brentford’s outgoing boss Mark Warburton, is rumoured to be considering Gus Poyet as a potential replacement for Redfearn. Poyet, who worked as assistant to Dennis Wise at Leeds, has been out of work since leaving Sunderland earlier this season. Redfearn’s deal as head coach ends on June 30 and he looks increasingly likely to lose his job.